Natasha first performed Half Breed at Talawa Firsts 2016 and later at Soho Theatre’s Soho Rising festival, before developing the story into a short play with Talawa Theatre Company and Soho Theatre’s Writers’ Lab. Nominated for Best new play in the 2017 UK Theatre Awards. 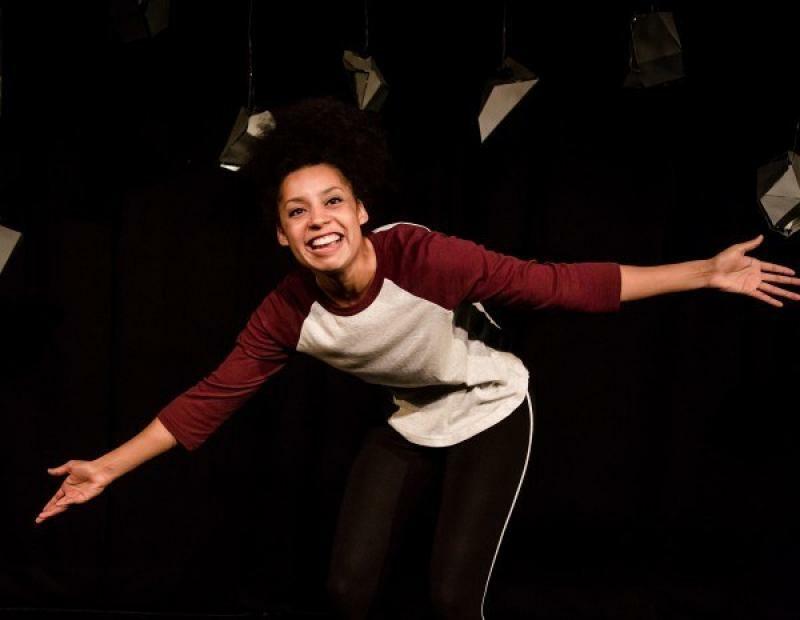 Developed by Talawa Theatre Company and Soho Theatre, Natasha Marshall's Half Breed is a partly autobiographical dark comedy about finding your voice, written and performed by 2016 Alfred Fagon Award and Soho Young Writers’ Award shortlisted writer Natasha Marshall. She doesn’t want to stay in the village. She doesn’t want to have a baby. She doesn’t want to laugh at racist jokes in the local pub.
" ... my brain is just confused as confused as my skin. Should I stay here? Or should I try move to London. Stay.Go.Stay.Go.Stay.Go.Stay …"
Half-Breed began its life as a poem at spoken word nights. 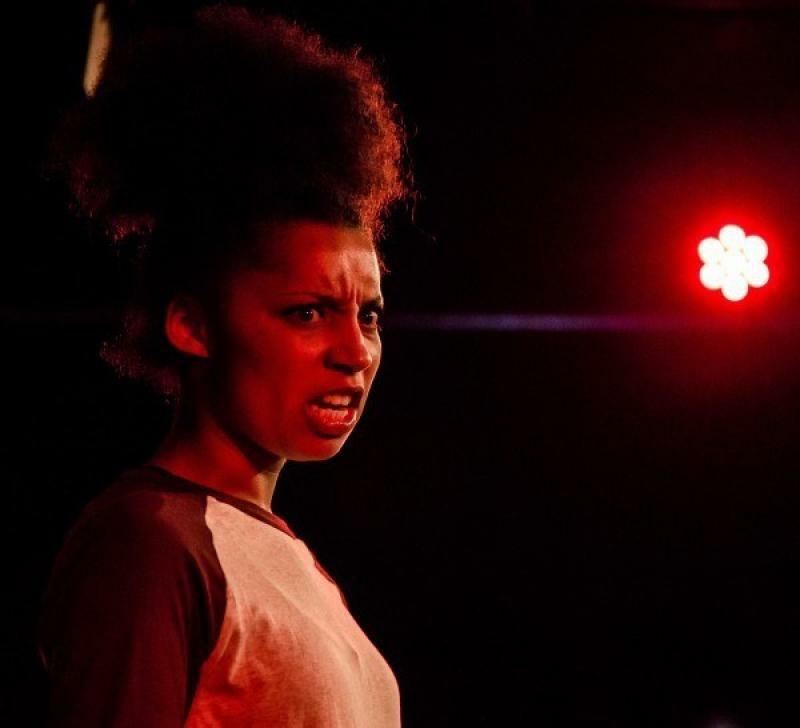 Developed into a short play with Talawa Theatre Company and Soho Theatre’s Writers’ Lab, Natasha first performed Half Breed at Talawa Firsts 2016 and later at Soho Theatre’s Soho Rising festival. 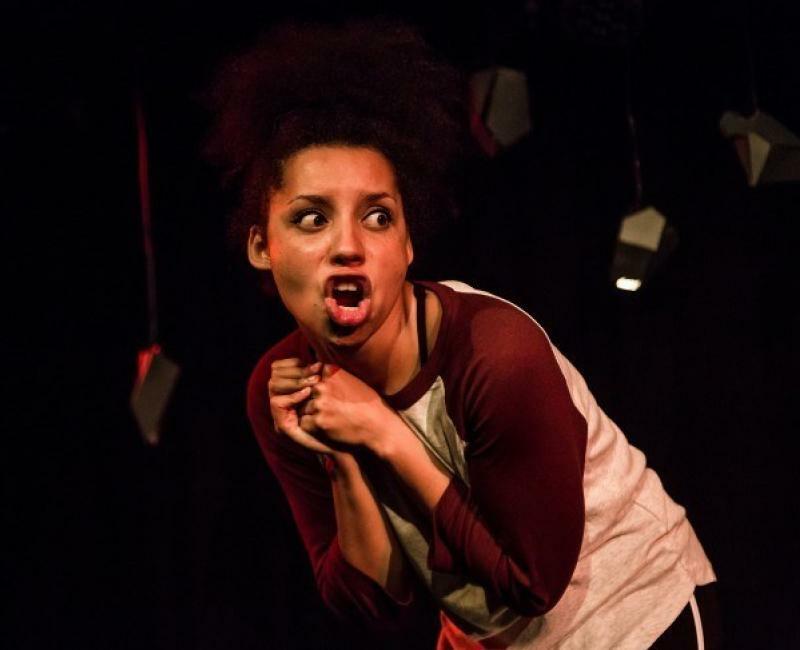 Half Breed had its full-length premiere at Edinburgh Festival Fringe this year. Natasha hopes it will be a voice of an experience that is raw, real and distinctive. Half Breed is created and performed by Natasha Marshall and directed by Miranda Cromwell. Half Breed is a Talawa Theatre Company co-production with Soho Theatre. ★★★★ "Marshall, directed by Miranda Cromwell, moves fluidly between prose and everyday rhythms of speech as she delineates her characters, and gives an impassioned performance ... it's funny and gripping, and its emotional punch feels very real." "Natasha Marshall’s debut show, which she also performs solo, is a little cracker: full of fierce wit and neat observations about village life and what being a best mate really means." 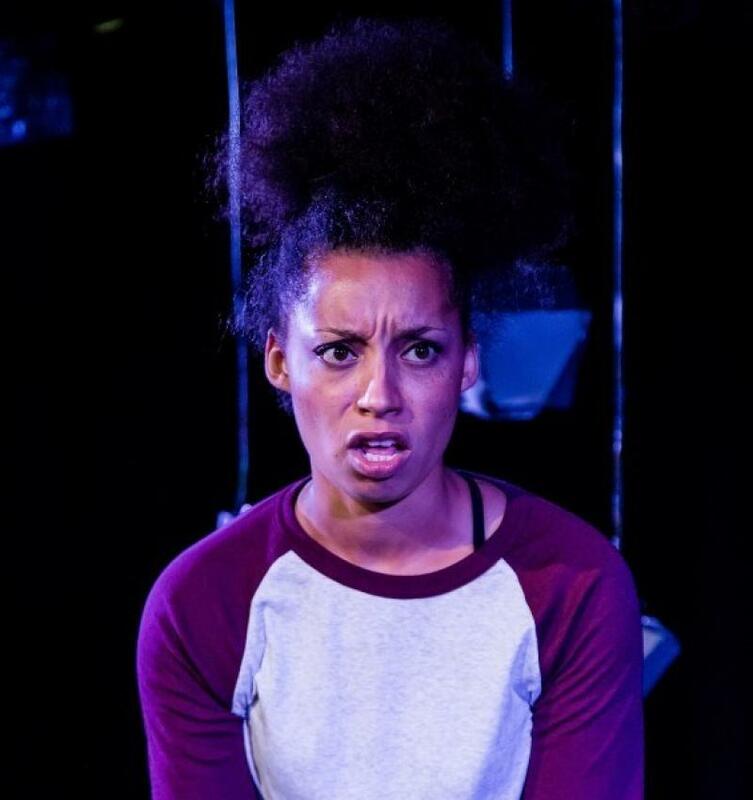 ★★★★★ "Natasha Marshall gives a blistering solo performance that hits the mark in every aspect"
★★★★½ " ... compelling and impressive performance from Natasha Marshall ... slick, clear and ... humorous transitions. The writing is excellent ..."
★★★★ " ... powerful piece ... marks Natasha Marshall and her director Miranda Cromwell as ones to watch." "I am that mixed raced kid, like 50/50, on the fence, luke warm, in-between maybe. Trust me, around here I’m about as black as it goes…"
Growing up mixed race in the West Country, Natasha moved to London to attend East15 Acting School. During the course Natasha discovered her love for writing poetry and started writing. In 2010 Natasha also joined Talawa Theatre Company's TYPT. 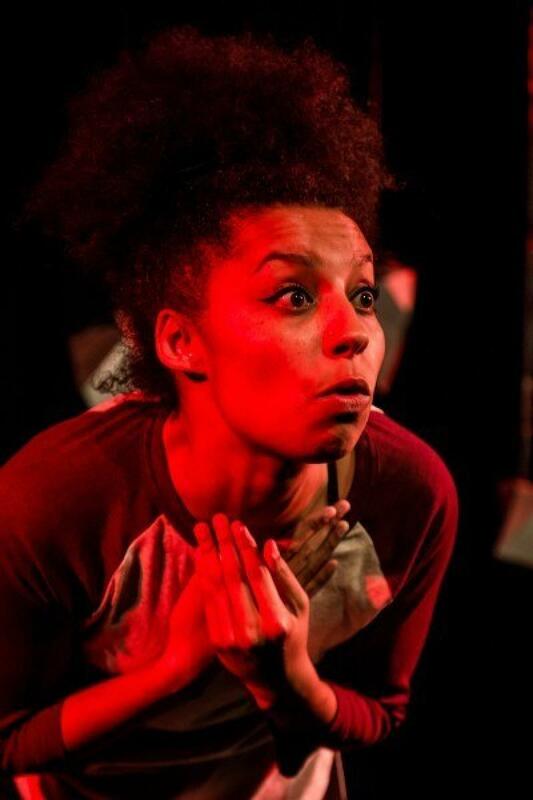 After graduating from East15 Acting School in 2012, Natasha made her Edinburgh Fringe acting debut in Thugz and Tearz where her character died in the first scene. Taking a six month break from it all, Natasha returned to the regions working in different factories (some more depressing than others) before moving back to London to participate in Royal Court Writers Group (2014/2015), BBC Comedy Room, BBC Sketch Group and BBC London Voices (2016) and Soho Theatre’s Writers’ Lab (2016). 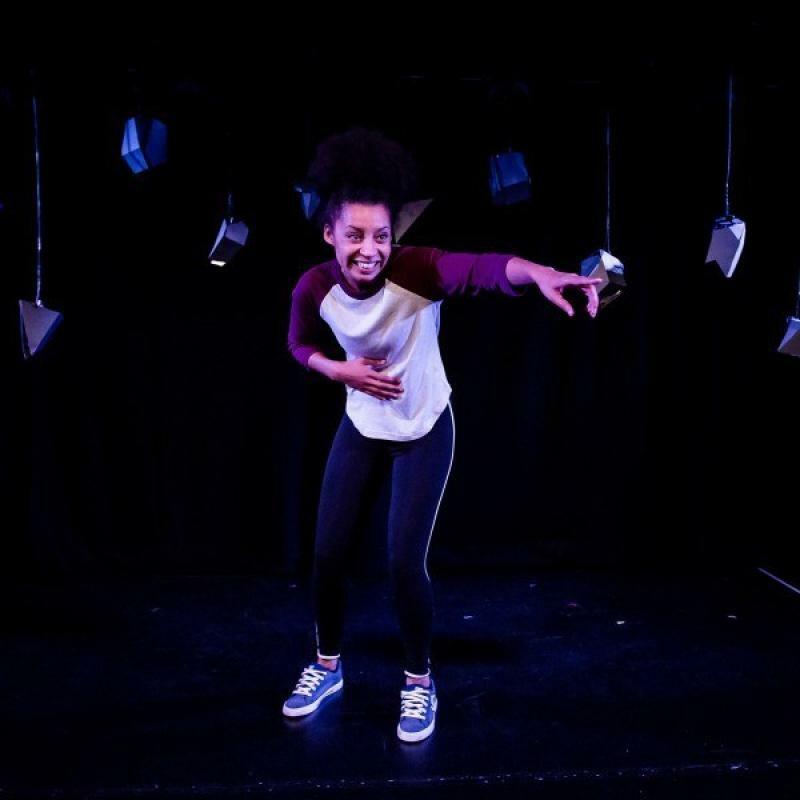 Half-Breed began its life as a poem at spoken word nights, and was developed into a short play with Talawa Theatre Company and Soho Theatre’s Writers’ Lab. Natasha first performed Half Breed at Talawa Firsts and later at Soho Theatre’s Soho Rising festival in 2016.